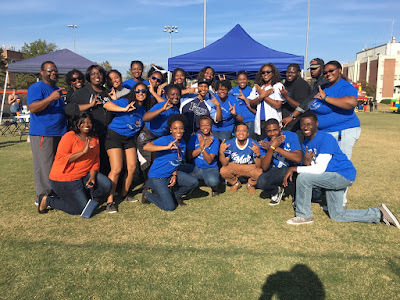 The Omega Mu chapter kicked the month of November off by showing some school spirit. During the week of September 30th through November 5th, we participated in several homecoming events. The week ended with a blue and white tailgate in which Sigma and Zeta alumni came out to have a good time. We also participated in the statewide day of service, where we had the opportunity to volunteer for the annual Ridge Run 5K in support of adoption. We had an amazing time cheering on the participants as they reached their individual goals. 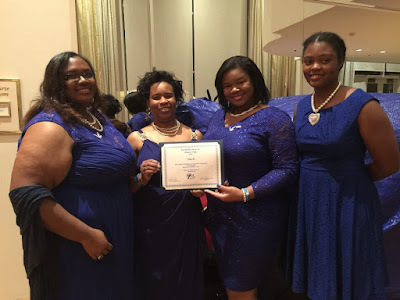 We took the chance to send three of our members, Autiana Brooks, Ashley Batten, and Brittany Johnson, to the Southeastern Regional Conference in Atlanta. They were able to absorb some meaningful knowledge that will help us better ourselves as a chapter. They embraced their leadership skills by taking advantage of every opportunity immerse themselves in Zeta.